We previously featured the Kendram Turf House in our list of 5 green roofed houses but seeing as it is such a remarkably well designed and possibly my favourite building of all time, I thought it was worth taking a more in depth look at. 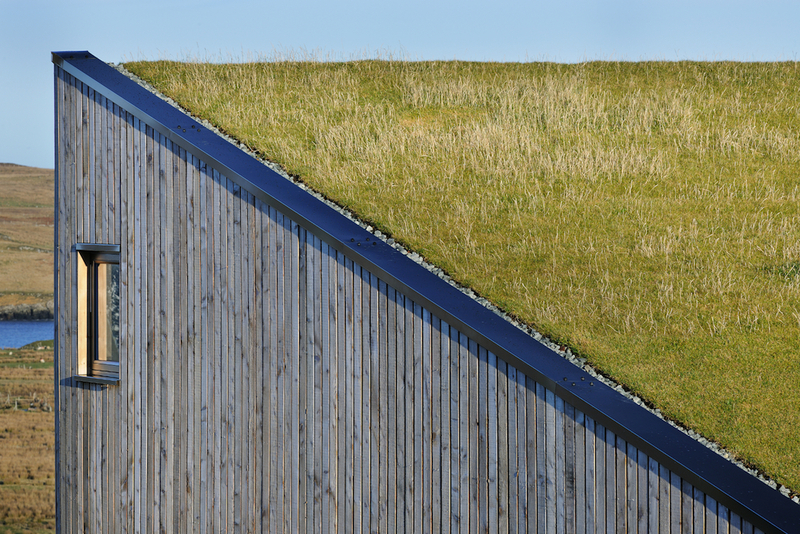 It contains some of my favourite architectural elements, namely silvered timber cladding (larch in this case), a turf roof, and an elegant straight-lined composition that makes sense in its surrounding environment. 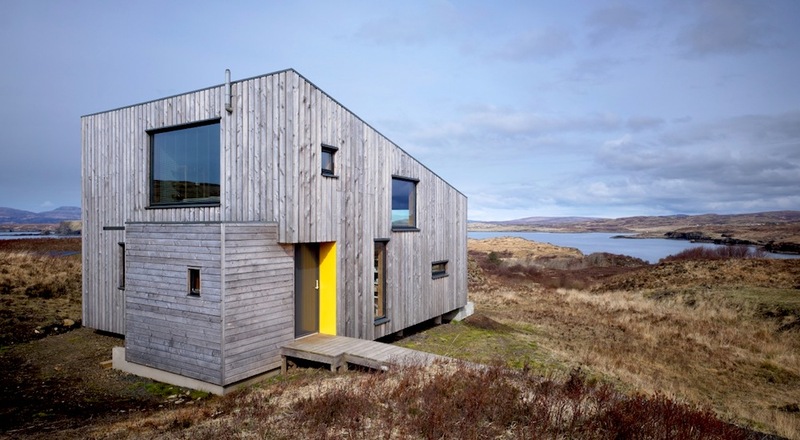 The design of this house is startlingly modern when compared to the traditional houses on Skye yet somewhat paradoxically far better blends in to the natural landscape. We’re used to seeing modern houses being bold and ostentatious – showing off their cantilevered sections as if they were trying to compensate for something – and yet the Kendram Turf House’s bold lines actually serve a purpose. 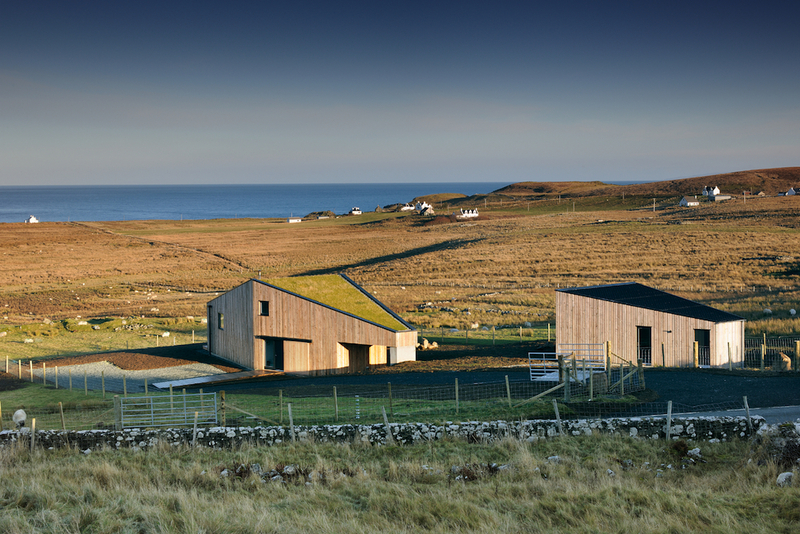 The coffin shaped house tapers towards the sea so that the strong winds that batter the Scottish island hit a smaller surface area. 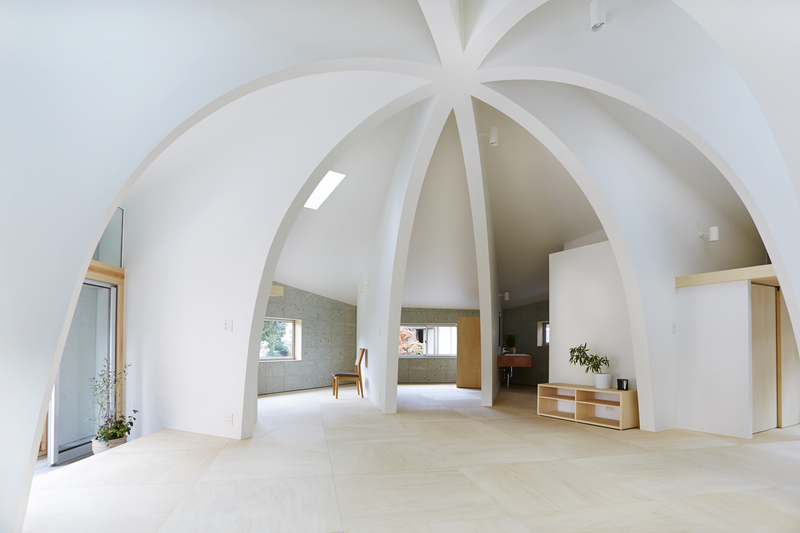 The house in effect acts like an arrow head aerodynamically cutting into the wind. 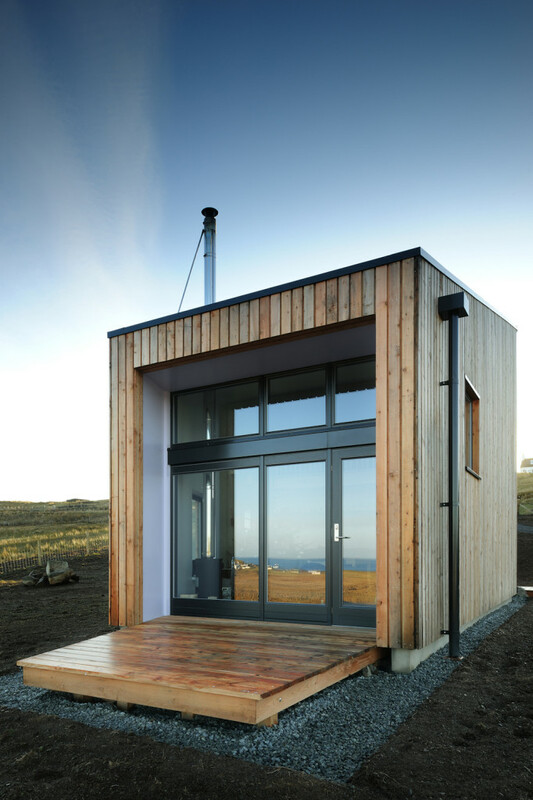 This tapered and truncated end does mean that the window which looks over the sublime Skye landscape is smaller than it could have been but this also helped the couple stay with in their modest £200,000 budget. 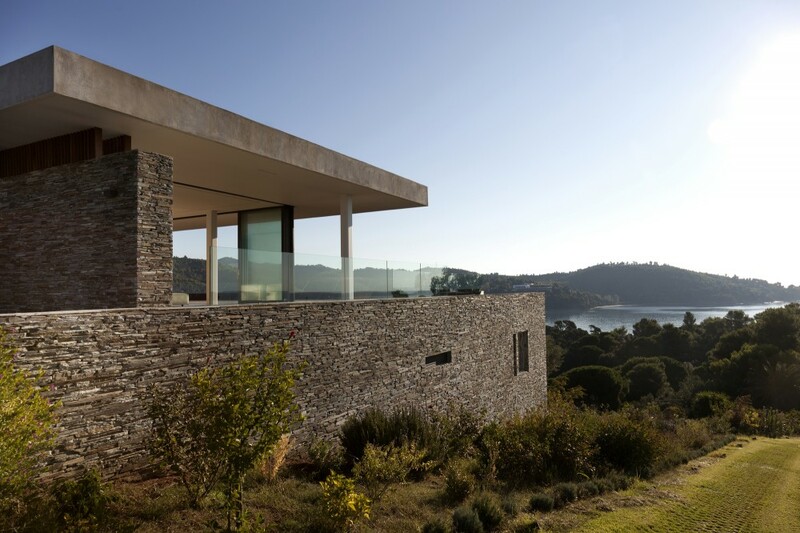 Rural Design Architects made up for this shortcoming with an abundance of smaller windows throughout the house which perfectly frame other views over the island. 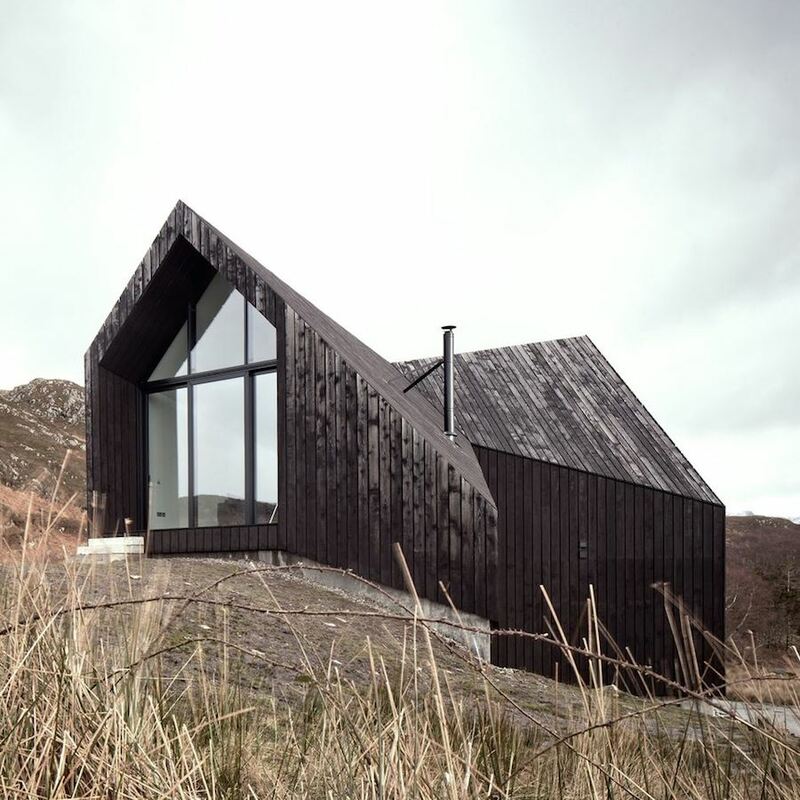 The Kendram Turf House was covered in the 12th series of Channel Four’s ‘Grand Designs’ which gives us a unique insight into the design process and progress of the build set within the beautiful Skye landscape. 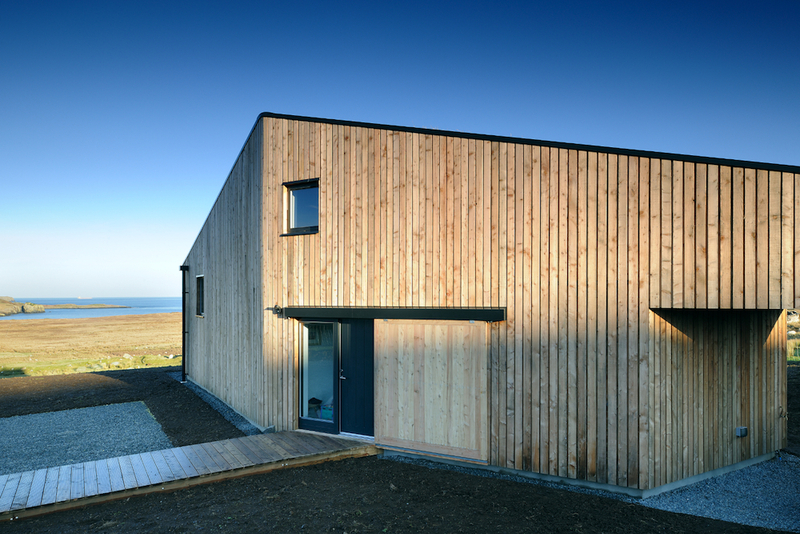 I’ve embedded the Grand Designs episode featuring the Kendram Turf House here. Please leave a comment below to notify me if it’s been pulled from YouTube on copyright grounds and I’ll update this article. 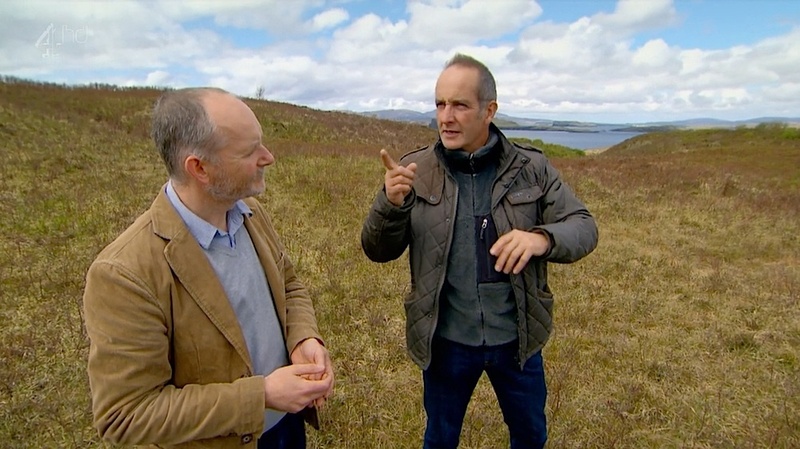 Kevin McCloud declared that the Kendram Turf House was his personal favourite project featured on Grand Designs which is no small feat considering this was in the 12th series of Grand Designs (giving him some 101 buildings to draw upon) and Kevin McCloud is a notoriously critical presenter. Grand Designs isn’t one of these building programs that puts a fake sheen on the houses they feature, it gives a markedly realistic impression (which in my opinion sometimes borders on pessimism) of the projects and is always quick to point out budget and schedule slips as well as building errors. 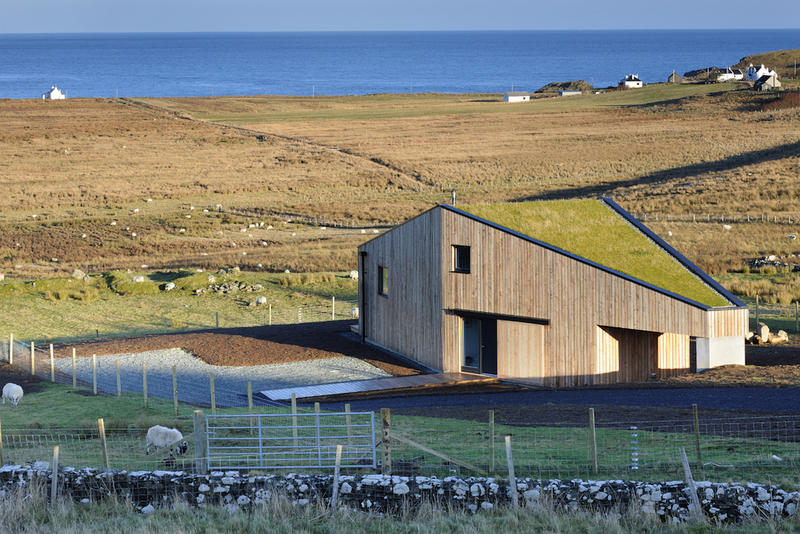 However there were simply no faults with the Kendram Turf House, everything went perfectly, and this has to come down to the design by architect Alan Dickson of Rural Design Architects and lead contractor Donald Lamont, an experienced builder on Skye who was at the forefront of pretty much every aspect of the build. Somewhat absurdly throughout the Grand Designs program, Kevin McCloud made a point of saying that this was the first modern house design to be built on Skye setting it apart from the white-washed brick houses which sparsely dominate the Isle of Skye. 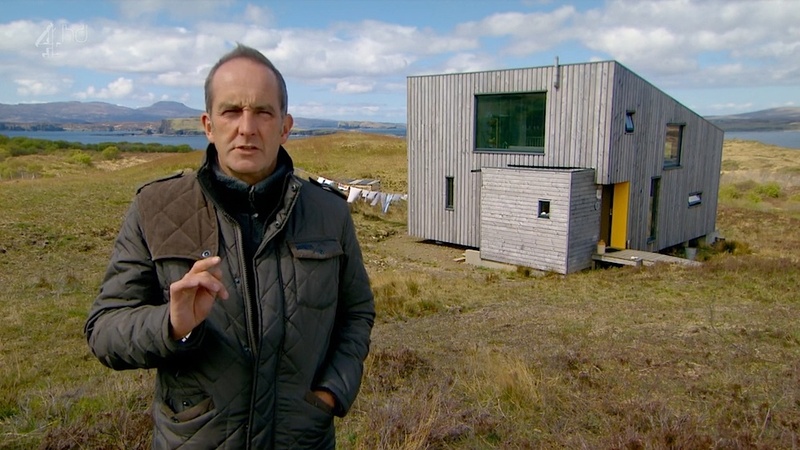 Perhaps this was to try and inject some excitement into an episode in which the build went so smoothly but Kevin McCloud did personally visit the Fiscavaig Eco Home also by Rural Design Architects on Skye. 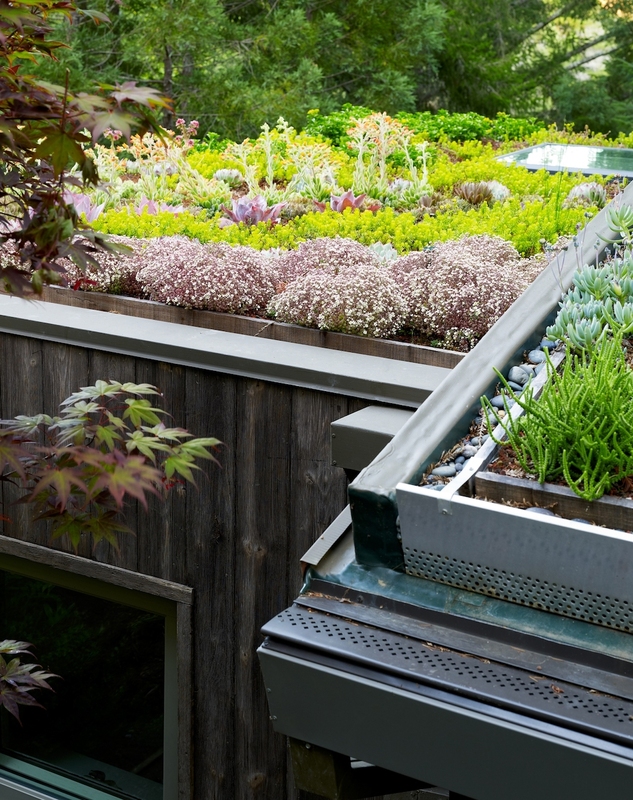 You can read more of this in-depth interview with architect Alan Dickson about the Kendram Turf House on Urban Realm. 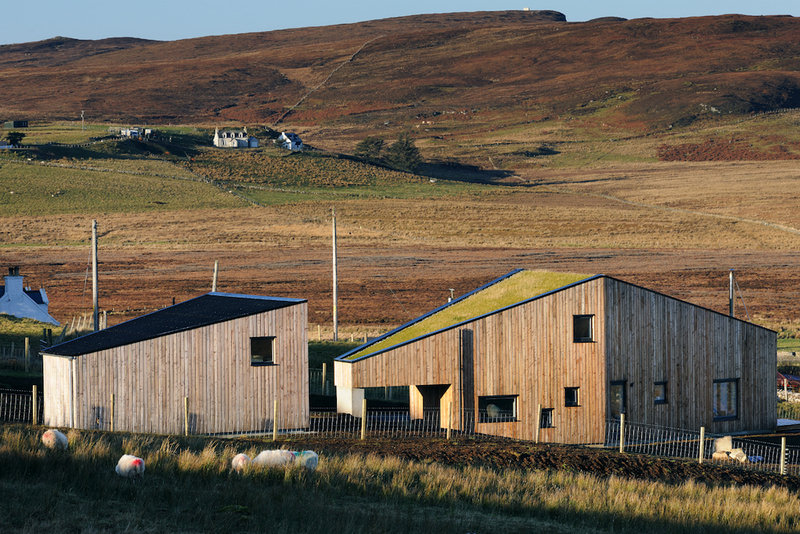 The article in Grand Designs magazine about the Kendram Turf House can also be viewed here. This is my favourite Grand Designs house. I recorded the show and and have re-watched this episode many times. By sheer coincidence, my great great grandfather used to live a few kilometres from where the Kendram kouse is. He was a poor crofter and moved to Australia in the 1850’s. (Donald McDonald). I hope to visit Skye eventually. I have a very unusual request, I am trying to contact the lady from the house with the grass roof, we visited Skye in 2014 and had a coffee there with them, also purchased some of their pre packaged Earl Grey Tea and brought it home to Australia for my daughter who loved it. Any chance that you can either give me their email or contact address so I can order some directly from them. Beautiful home by the way – well designed.